If you would like to "choose all" camp types, skip to the Filter Camps area. We found 22 Camp(s) that match your Search. Fun, friendship, adventure, and discovery await children of all ages on our beautiful 800-acre campus! 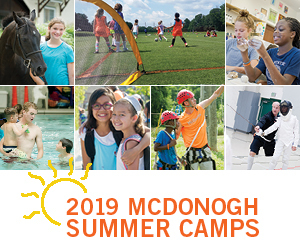 McDonogh Summer Camps offers over 80 traditional day camps, sports clinics, arts and educational programs, as well as overnight camps. BUS TRANSPORTATION AND LUNCH INCLUDED AT NO ADDITIONAL CHARGE! 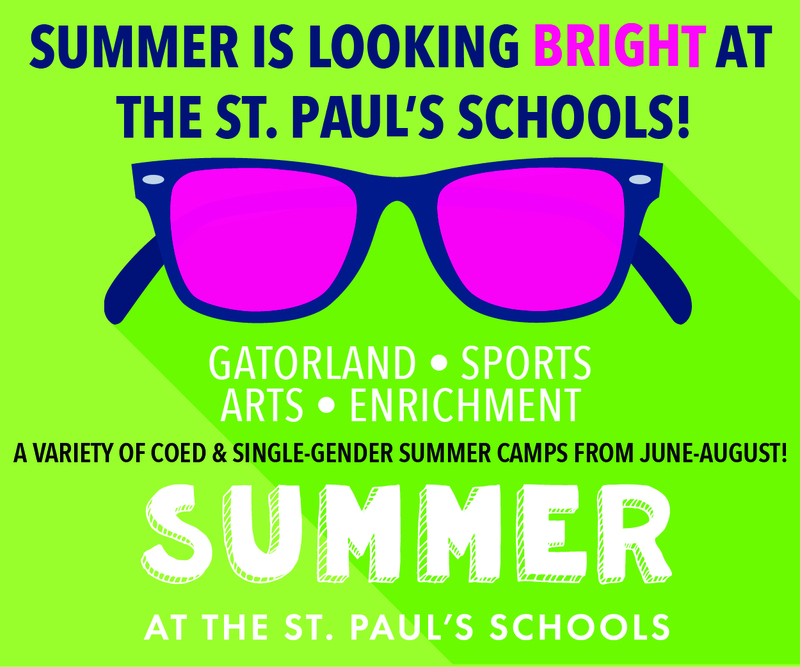 Summer at The St. Paul’s Schools offers a variety of coed and single-gender camps for ages 5-18 from June-August! With a ropes course, nature center, community garden, and swimming pool on our 121-acre campus just 10 miles north of Baltimore, we offer programs in sports, arts, academics, and enrichment, plus Gatorland Day Camp and Adventure Camp. 10% multi-sibling discount available in addition to 10% early-bird discount through April 1. Before and after care available. This summer, children ages 3 ½-17 are invited to join us for dynamic experiences in the tradition of The Park School of Baltimore. Park’s unique approach to learning and growing flourishes amid the beauty and wonder of our wooded 100-acre campus. Park Camps' staff consists of caring, committed professional educators from The Park School and the greater Baltimore community who have created exciting programming to engage both mind and body. For additional information visit www.parkcamps.com. Beth Tfiloh Camps is an incredible Jewish summer day camp located on 60-park-like acres in Reisterstown, Maryland. Our staff is powered by dedicated teachers, young adults, and very responsible high school upperclassmen. We offer an incredible range of programs and activities for campers as young as 2 and as old as 15. Summer fun overflows on the Friends School of Baltimore campus for the eight weeks of Summer at Friends camp, June 17 - August 9. We offer exciting programs for boys and girls ages 4 to 13, including sports, visual arts, dance, drama, technology and traditional day camps. Campers swim daily in our outdoor pools, and full-day campers receive lunch and snack. Enrollment is flexible - from one to eight weeks and we also offer Extended Day packages. Come see what summer fun looks like! Whether your child loves sports, arts & crafts, science, drama, dance (or all of the above! ), Summer at Bryn Mawr has a camp for that. Enjoy long-running favorites like Creative Workshop and All-American Doll and Pet Camps, or find a new interest in magic, songwriting, cooking or drones! Get your body moving by joining our lacrosse, basketball, field hockey or combo camps. And, check out our partnership with Girls Who Code. An extended-day program and lunch are included at no additional charge! 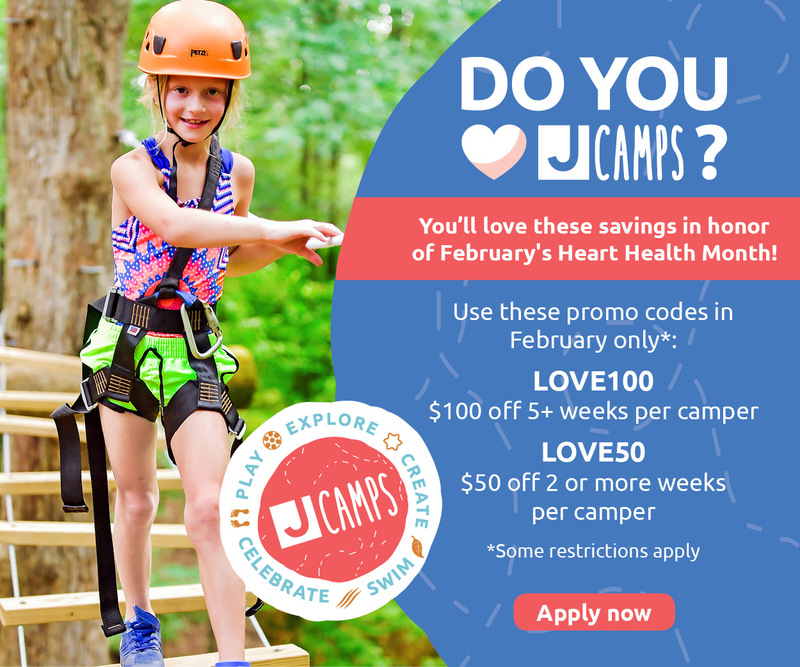 J Camps offers over 10 camp options, all of which provide opportunities for discovery, personal growth, skill development, and–of course – fun! Do you have a child with a lot of different interests? You can sign him or her up for 2 or 3 different J camps and still enjoy the convenience of one system for transportation, payments, and extended day childcare. J camps provides an environment where lifelong friendships develop and a sense of family, teamwork and camp spirit abounds. Play & Grow Summer Camp is a perfect place to introduce your child to a beautiful pre-school campus in a non-stressful, welcoming atmosphere. All teachers are first aid/CPR certified. Children do not have to be potty trained. Nut-free campus. Summers at Appel Farm Arts Camp have sparked the imaginations of thousands of young people for more than 50 years! Campers learn new artistic skills, interact with artists from around the world, gain social skills and grow as individuals and members of a community in a beautiful part of rural southern New Jersey. Our campers, girls and boys ages 7-17 years old, come together for an unforgettable overnight camp experience! Non-denominational Christian camp on the Chesapeake Bay with sailing, kayaking, boating, high and low ropes courses, more. One-week sessions. One week outdoor adventure overnight camps. Kayak, Surf, Sail, Rock Climb, Cave, Backpack, and Leadership. 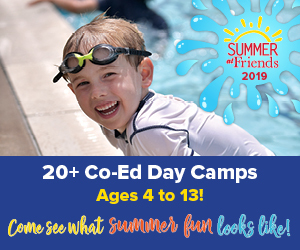 Open to boys and girls ages 6-13, the camp curriculum has been created to offer a wide variety of programs to meet the interests, abilities, and needs of our campers. Camp activities invite participation, are fresh, interactive and lead by a staff that is enthusiastic, energetic, and fun to be around. Each camper’s day will be filled with a variety of age-appropriate sports, games, arts and crafts, and camp activities that will keep your camper active and engaged throughout the week. Merritt offers a wide variety of 1/2 and full day camps for every week of the summer. Before and after care available. Gilman Summer! offers a variety of enrichment and skill-building programs for girls and boys grades K-12 designed and taught by Gilman faculty and field experts. Courses include an art program, outdoor education, SAT prep classes, science, math, foreign language, and sports camps. Our Summer Camp is one of the most fun and affordable camps in the state! Each summer over 1600 children come to have a blast during the day. We have beautiful fields for playing games and a wooded area with a stream that are always fun to explore and play. Our pool provides a fun way for campers to stay cool as well as learn how to swim. Another big hit for campers is our spring fed pond with our rope swing that campers love to drop into on a hot day. Children deepen their sense of wonder about nature, always choosing activities in a mixed age setting -- rain or shine. Family Overnights & Concerts-in-the-Woods. Teen Adventure Trips: Spoutwood Farm, Appalachian Trail, C & O Canal Towpath biking. Camp Bravo offers your child many enjoyable and exciting summer activities. There's sports and swimming, arts and crafts, introduction to the performing arts and exploration of the amazing world around us. Day and Overnight Camp serving children ages 5 through 17 with outdoor activities that emphasize leadership, team-work, appreciation for nature and rediscovering our American heritage. Specialty camps and weekly themes. 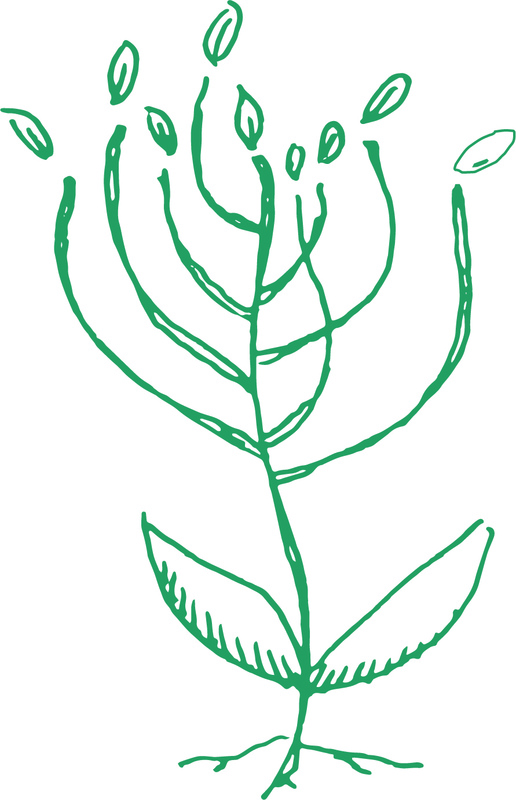 Nature trails, water activities, arts, crafts, academics, and extended care. Safe, private campus. Certified staff.